Finally the long wait is over. One of Swedens most classic synthpop acts Saft returns with the followup to their praised comeback album "Norrbacka". If "Norrbacka" was sort of a collection of tracks made over the years this album is a 100% new start going fresh. The production, the songs EVERYTHING sounds better than ever. 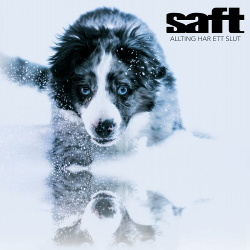 Ofcourse that classic catchyness wanting you to sing along to all the tracks that Saft has ALWAYS possessed is still there. A stunning album for sure.